Jordan Brand seemed to have hit their target when they released the Jordan Flight 23 Classic earlier this year. This month, a new edition has surfaced and it is expected to get a lot of attention especially from casual shoes aficionados. 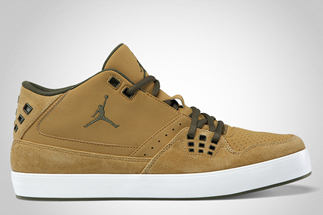 The Jordan Flight 23 Classic has been recently released in Flight Gold/Cargo Khaki colorway, which features a Khaki upper part that sits on a white midsole. If you are looking for an impressive lifestyle shoe, this one is highly recommended!